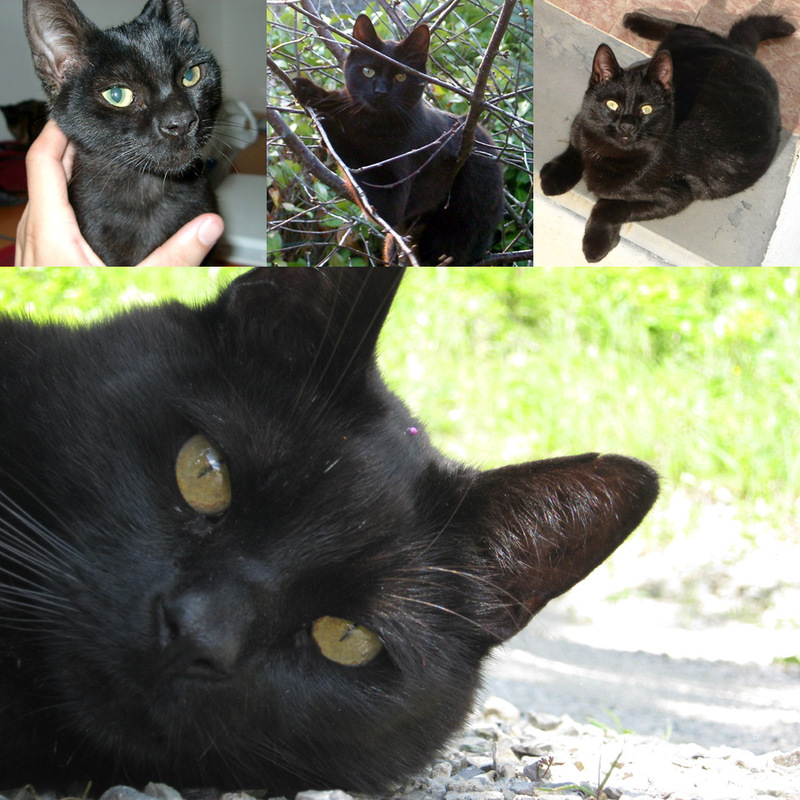 It has been less than a year since I had to write about one of my beloved pet’s death, that here I am again 🙁 The black cat you see above was Batman, we called him like that because of his profile with the pointed ears! I am not going to lie: I’m very, very sad. Not all cats are the same, this one was particularly smart, playful, and he used to pay me a visit at least once a day to my office (upstairs). It was surely one of my favorite cats! p.s. he was the cat that is supposed to be in the Heileen series. For obvious reasons I couldn’t call him Batman in the game too! But it was him. I know he’ll live forever in my games. There is only act4 left, and if things go well might be ready for end of month, though is more likely mid-November. I am still waiting for some missing art (a few tilesets also for act3) but the main story and coding is already complete. This entry was posted in pets, roleplay games, Seasons Of The Wolf. Bookmark the permalink. You know, I don’t know whether you watched Galaxy express 999 when you were a kid but there was an episode that I still remember and gives me a bit of melancholy to this day about a girl that lives on a planet on her own, with all the pets that people loved and aren’t alive anymore and takes care of them. It might sound silly, but I do think of that when I’m sad about the pets I lost (the area I used to live in in Italy is very bad for cats, I won’t go in details because it would make you angry) that there’s a tiny tiny chance they’re all there, being taken care of. I’m a child, I know… still believing in fairytales. I believe that there is some God and in the fact that there’s something beyond our life. Not necessarily “Heaven” but it could be a new dimension, or something beyond our imagination where we interact with all beings in a different way. But I really hope there’s *something* because I really cannot believe that we won’t “see” again all the pets and people we lost. I’m so sorry for the loss of Batman. My pet bird got sick and died this Summer so I know what you’re going through. Hey, I just brought the game and am trying to find the download link, but there is no demo button as the instructions say. Are you talking about Seasons of the Wolf? It isn’t officially out yet, but there is a demo which is currently being playtested for those who bought it early. Sorry for your loss. When you lose a pet it hurts you so deeply and sometimes people act like nothing happened.